On May 13, 2016, the Grateful Dead music vault will open up to release a 12-CD box set titled July 1978: The Complete Recordings. 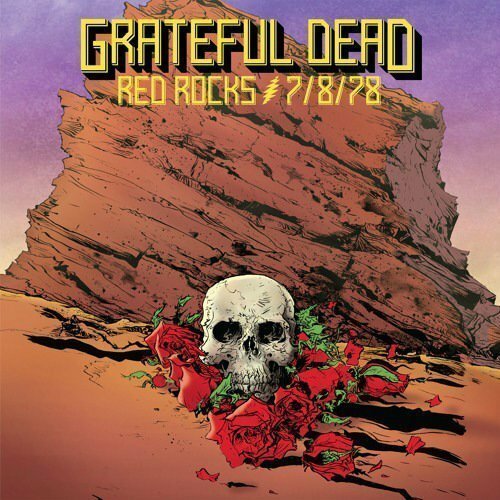 Above, you can listen to one of the included songs, "Wharf Rat," from the beautiful Red Rocks Amphitheatre on July 8, 1978. The collection will feature five previously unreleased concerts from 1978, all complete soundboard recordings from sound engineer Betty Cantor-Jackson, known within fan circles as "Betty Boards." This was the second night of the Dead's first run at Red Rocks. They would go on to play a total of 20 concerts at the historic venue, the last of which being in 1987. To many ears, mine included, 1978 is considered one of the best years in Grateful Dead history, keeping the momentum going from the excellence of 1977 Dead... These five shows are from one of the best weeks of the one of the best years in the Grateful Dead's 30 years performing career. From the opening "Bertha" to the closing "Werewolves of London," this box features nearly 100 tracks of phenomenal, inspired playing, all of which is previously unreleased. The first three shows in this boxed set are completely uncirculated in soundboard format, and this boxed set will give the world its first taste of these three magnificent, previously thought-to-be-lost Grateful Dead concerts. Each show is presented in its entirety, in pristine recordings by long-time Grateful Dead engineer Betty Cantor-Jackson. Add to these three show the first two Grateful Dead performances at Red Rocks in Colorado, a run widely considered the best of the year, and you have one of the most compelling boxed sets the Grateful Dead have ever released. 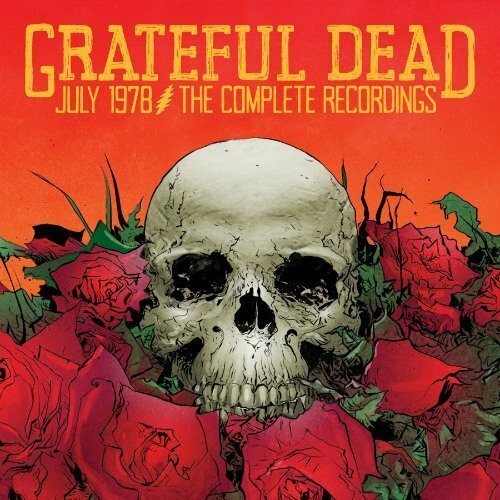 "Wharf Rat" had its highest moments in 1978, and this boxed set features three versions of this Garcia-Hunter epic song, played at the box's first, third, and fifth shows. The final show of the tour, and the boxed set, includes plenty of crowd-pleasing songs, including this spectacular version of "Wharf Rat." As you'll hear, this recording is crisp, and Jerry Garcia's guitar playing and vocals sound warm and inviting. Keith Godchaux's playing adds adds a sense of beauty, as does Donna Jean Godchaux's backup vocals. Bassist Phil Lesh and drummers Bill Kreutzmann and Mickey Hart lay a strong foundation for the song to soar into the Colorado air. Thankfully, the crowd noise doesn't drown out the song, instead adding a sense of being there. July 1978: The Complete Recordings will feature artwork from comic book artist Paul Pope, and will be limited to 15,000 numbered copies. It's currently available on Grateful Dead's official webstore. In related news, Dead & Company announced 2016 tour dates that will kick off at Bonnaroo in June, and Phil Lesh has some concerts planned too. For the latest music and news from the Grateful Dead, check out their Zumic artist page.